Wear indicator? Sweet! One advantage to this this double dipped black over blue construction is that it supplies you with a built-in wear indicator. When you see the blue second dip showing through the black, then its time to replace the gloves. The 6962 features a 12 inch cuff, brushed interlock liner, and a sandy finish. 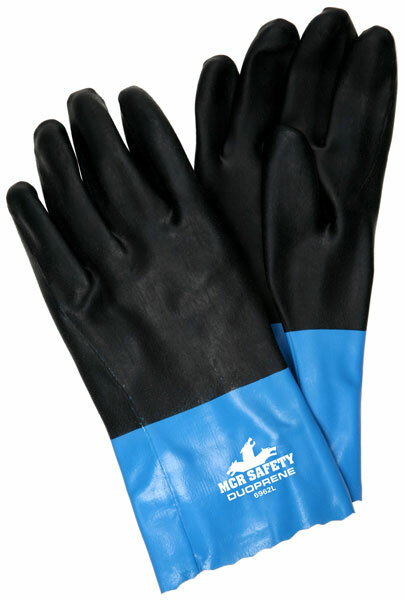 It provides protection against abrasion, scrapes and hazardous chemicals.